Come see this 2016 Jeep Patriot Sport. Its Variable transmission and Regular Unleaded I-4 2.0 L/122 engine will keep you going. 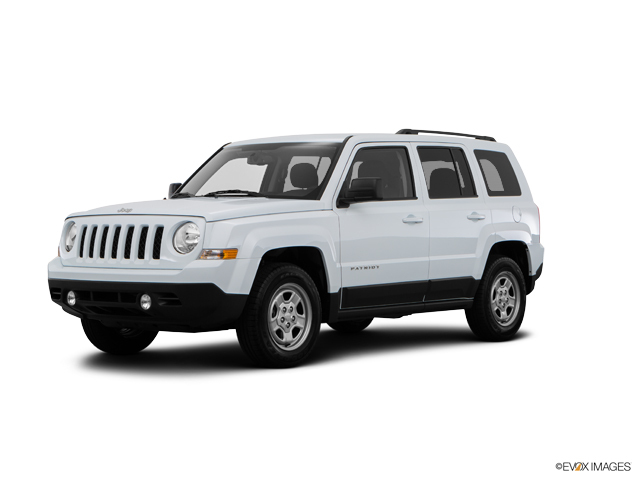 This Jeep Patriot comes equipped with these options: WHEELS: 16" X 6.5" STYLED STEEL (STD), TRANSMISSION: CONTINUOUSLY VARIABLE TRANSAXLE II -inc: AutoStick Automatic Transmission, Tip Start, TIRES: P205/70R16 BSW AS (STD), RADIO: 230, QUICK ORDER PACKAGE 24A -inc: Engine: 2.0L I4 DOHC 16V Dual VVT, Transmission: Continuously Variable Transaxle II, POWER VALUE GROUP -inc: Body Color Door Handles, Illuminated Entry, Speed Sensitive Power Locks, Keyless Entry, Automatic Headlamps, Power Heated Fold-Away Mirrors, Power Driver 1-Touch Windows, Body Color Liftgate Applique, ENGINE: 2.0L I4 DOHC 16V DUAL VVT (STD), DARK SLATE GRAY, PREMIUM CLOTH BUCKET SEATS, BRIGHT WHITE CLEARCOAT, and AIR CONDITIONING. Test drive this vehicle at Cavender Buick GMC West, 7400 West 1604 North, San Antonio, TX 78254.